​When you're getting older, aches and pains in unexpected places at unanticipated times is par for the course. Especially if you're an injury-prone veteran fireballer. 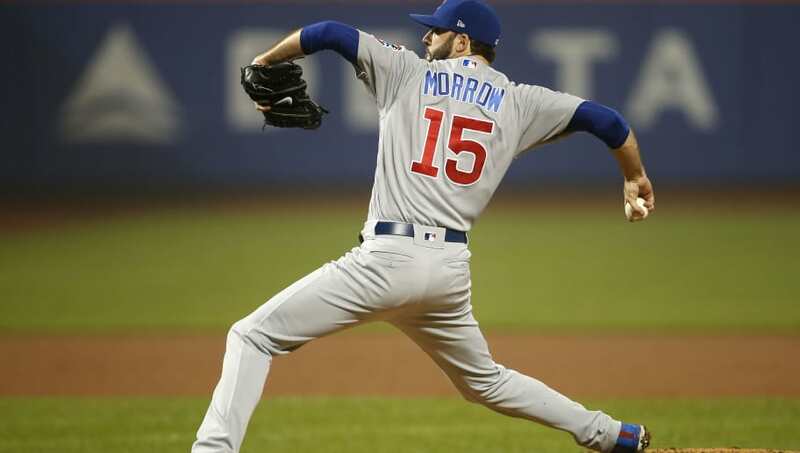 ​Brandon Morrow missed Tuesday's first game with back spasms, and will likewise be unavailable for the nightcap. So what happened? Lingering soreness? Bad sleep? According to Morrow, he knocked things out of whack by...taking his pants off. Morrow said back spasmed Monday morning as he was "taking my pants off." Really. Specifically happened as he went to take off left leg of pants. Brandon Morrow's just like you. He takes his pants off one leg at a time, but midway through one of those legs, he seizes up and clears a path for ​Kyle Farmer to be a hero for the Dodgers. Because after all, his absence somewhat directly led to a loss in the opener, as Justin Wilson failed to pick up his slack by blowing a two-out, two-strike save. The Wrigley faithful were left hoping it had been Wilson who'd knocked his back out of order ripping his pants off instead, but no dice. Go get 'em soon, Brandon, and try a less slim fit. Might be easier to tug.